1.1 What is Tokyo Afterschool Summoners? 1.2 How Do I Play This Game? One day, a magical power sends you to a different version of Tokyo. There, you will gather companions, and develop your story in this Card Battle RPG. If you are an iPhone user, simply download the game from https://itunes.apple.com/jp/app/dong-jing-fang-ke-housamonazu/id1014364534?mt=8 from your phone. Then, open QooApp and do a search for Lifewonders. Select 東京放課後サモナーズ and install. When you first begin the game, you will connect to the server. When it finishes loading, hit the blue button on the bottom. When you reach the main screen, tap the screen to start. You will be brought to an agreement page. Hit the leftmost button to agree. You will then be asked if you want to download extra data to decrease loading times. It is recommended you hit OK.
Once downloading has completed, hit OK and select a character. All main characters have the same skills. Next, select a voice from the right, and hit the button in the middle. Then, hit the green button to the right. You will then be asked to put in a name and select your gender. These can be changed later. Afterwards, hit the green button on the bottom, and then the green button to the right. Hit OK on the next screen. The first chapter of the game will begin. The game will present you with several dialog options, but they do not change the story, so feel free to skip. You will be guided through the battle system. For help on the battle system, see the Battle System section of this wiki. After you complete the tutorial within the game, main quests and sub(free) quests will be unlocked. As you complete main quests, repeatable free quests will be unlocked. The main story can be continued even if you do not complete the free quests. As you complete quests, you will gain stones that can be used to summon cards, or new companions. For better help understanding a card, see the Companion Catalog section. The game contains up to 5 ratings for each card, from a 1 star rating to a 5 star rating. A cards rarity can be told by counting the stars on its portrait. Cards with a rarity of 1-2 are basic mob cards. Cards with a rarity of 3-5 are special character cards. Nearly all specific characters have two different card ratings. For example, Moritaka has a 3 star card, and a 4 star rating. In some cases, a characters qualities, such as their weapon type, will change. If you obtain a duplicate card of the same character AND rarity, that dupe will be automatically added to your current card, increasing it's Charge Skill level by 1 if it's a Rarity 1-3 card, +5 if it's a Rarity 4 card, or +20 if it's a Rarity 5 card. There is no way to upgrade a card's rarity. So if you want Moritaka's 4 star card you can't upgrade his 3 star card, and will instead have to pull his 4 star card normally. A deck is made of up of 5 of your own cards and, when you enter battle, 1 Support (a card from another player), for a total of 6 cards. 4 cards can fight at one time, with two of your cards being sub-cards. When one of your characters is defeated, it will be swapped out for a sub-card in its place. There are exceptions, like Benten's 3 Star and 4 Star cards costing 10 and 18 instead of the usual 8 and 16. The Protagonist's card cost is 0. This means that you can't make a team of five 5 Star cards and that using 1 Star or 2 Star cards is a good idea sometimes. As your Player Rank goes up, your maximum available cost will increase, allowing you to use more powerful cards. Lastly, Supports (cards from friends) are treated as having 0 cost, regardless of rarity. A gacha is the system by which you obtain most of your new characters. The basic gacha. Uses 5 stones for a single roll, or 50 stones for a multi-roll, you will get a new card whose Rarity is anywhere from 3-5 Stars. If you perform a multi-roll, you are guaranteed to get at least one 4 Star card. Special seasonal gachas focusing on specific characters. Uses friend points. Gives basic items, and characters with a Rarity of 1 to 3. It is recommended to follow these steps to make it easier to recover your account in case you lose access to it. Authkey is the file that keeps your account data. If you lose access to the device where you play the game you can simply install the game on another device and copy the Authkey to the game folder. This means that making a copy of your Authkey and keeping it somewhere safe is highly recommended. See Risky Easy Way for information on how to locate your Authkey. From the main menu, select "Options" and then "Player Settings". You will be taken to a screen where you can change your avatar and name (the one you selected when creating the account). It is recommended to fill the Surname and Nickname fields and keep them noted down along with the number of your avatar voice, as Lifewonders will ask for this information if you have to contact their support to recover your account. Don't forget to click on Update after making changes. From the main menu, select "Friends" and then "Search for Allies". On the lower part of the screen you will find your Player ID. Noting this number down is recommended, as it is something Lifewonders will ask you if you have to contact their support to recover your account. To create a transfer code data, simply start up the game, go past the title screen to the map, and go to Options(オプション) on the bottom menu. Then hit Transfer Data (データ引継ぎ) in the middle left. Enter a password into both boxes of your choosing (English letters only) and hit the bottom-most button. Write down the Code it gives you AND the password you used. When you're ready or need to use it, start up the game. At the Title Screen, hit the blue button (Account Transfer) on the bottom left. Enter the Code in the top box, and your custom password you made in the bottom box. Then hit the green button. Okay, to those who wants to play this but has no phones. 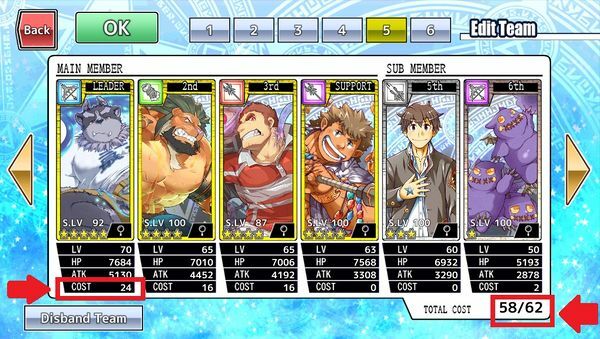 -- - - Just download an app that allows phone apps to play on PC like "Bluestacks", basically i use this to play Housamo and other apps that i cant play well on my phone. Why the app constant closed a certain time when i play!? Some can tell me why show me error network? OP here. Know of anywhere safe when it comes to getting Nox? TFW you don't have a phone so can't play. RIP. Is there anyway to get eng translations?? It's not mentioned, so no. Noob question, but are there any uses or ways to burn cards/familiars you're really not interested in? This page was last edited on 9 April 2018, at 11:43.